It’s almost Valentine’s Day! 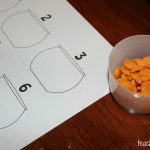 If you’re like me, you’re incorporating hearts into your curriculum right now. 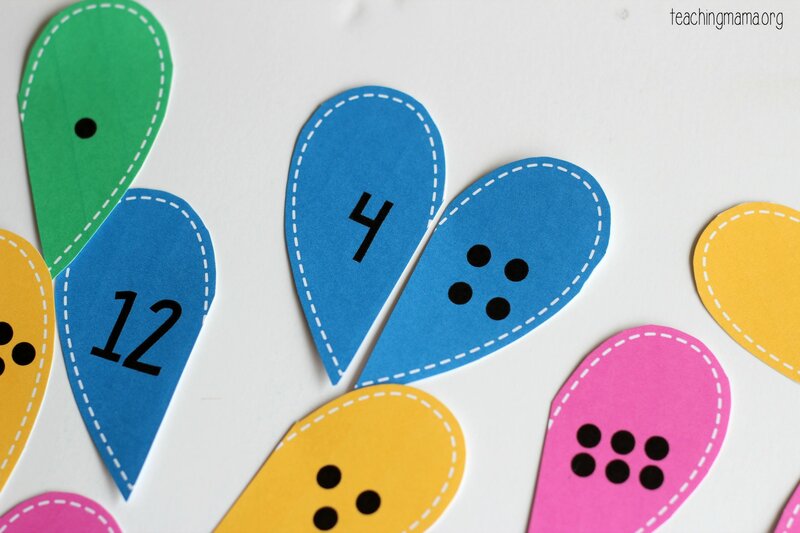 I mean, hearts are so adorable and it’s fun for Valentine’s Day, too! 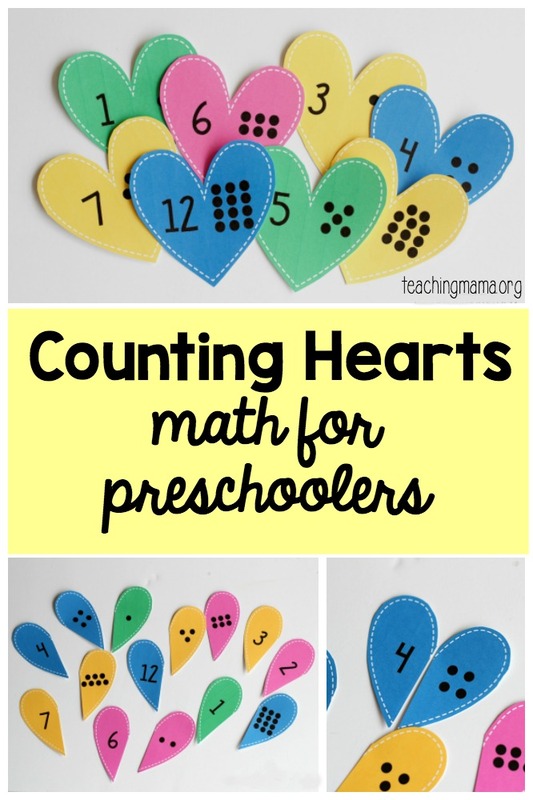 Today I’m sharing with you my counting hearts for preschoolers. 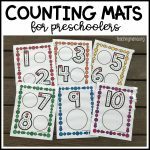 These are great for practicing counting, one-to-one correspondence, and recognizing numbers. This is very simple to set up. Simply print the heart printable (found at the bottom of this post), cut out the hearts, cut the hearts in half, and mix up the pieces. 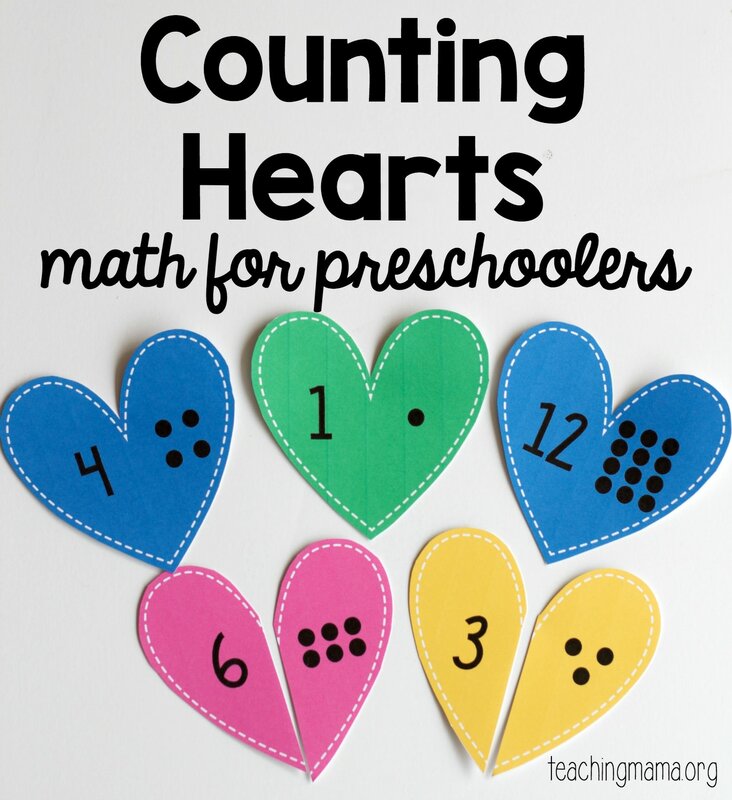 Then invite your child to piece the broken hearts back together by matching the numeral with the corresponding dots. You’ll notice that they could also look at the colors of the hearts. However, each color has three different hearts, so they still need to count the dots. 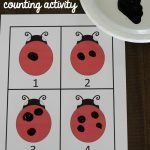 Counting the dots is great for one-to-one correspondence, which means matching objects with the correct number. 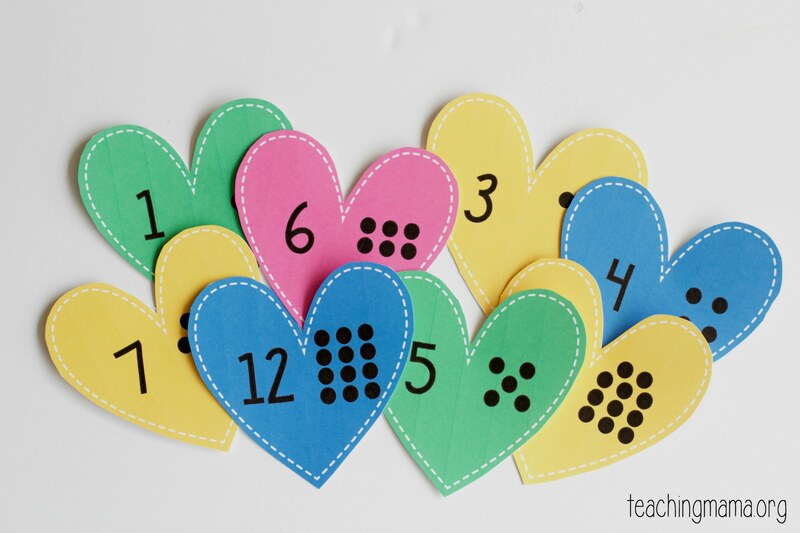 I created hearts for numbers 1-12. 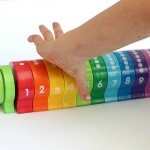 If your child is overwhelmed with doing all 12 numbers, you could start with just 6 numbers. 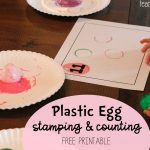 Make sure to check out my beginning sounds hearts activity, too! 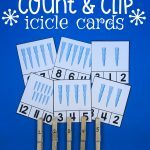 I tried this for my students at my school and they enjoyed this. 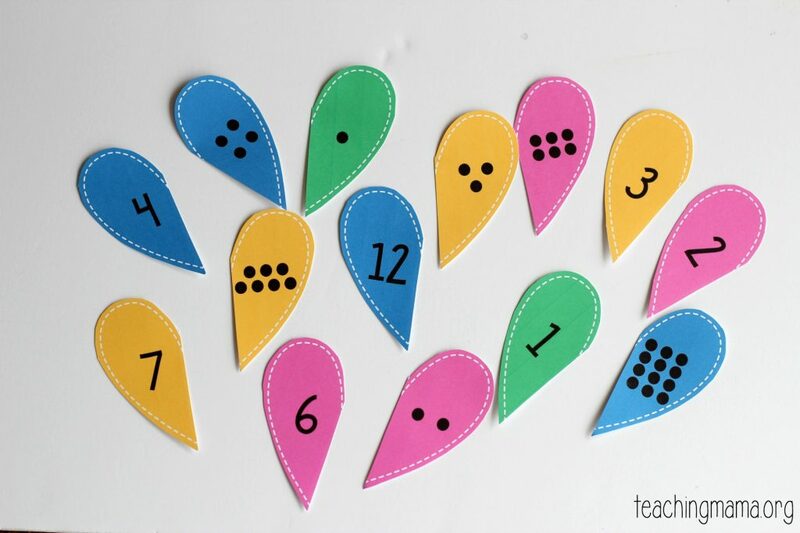 My students learned about not just number matching but also shape and color.